The counting of votes is scheduled for Wednesday. 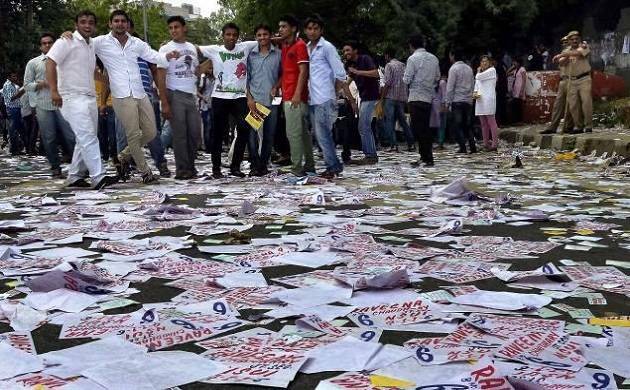 The Delhi High Court has given a go-ahead to Delhi University to declare the results for the post of President in the Delhi University Students Union (DUSU) election which is being held on Tuesday. The order came after the university contended that partial counting of votes would not be possible as the polls were being conducted through the electronic voting machine (EVM) which consists of a single control unit. The court, however, said the election outcome will be subject to its final decision in the pending petition of Rocky Tuseed who has challenged the University Election Commission's order rejecting his nomination for the election. The High Court had in an interim order on September 8 allowed Rocky Tuseed to contest the DUSU elections while setting aside the September 7 order of Delhi University Chief Election Officer. "The petitioner (Tuseed) is permitted to participate in the election of the DUSU for the post of President. He is also permitted to campaign for the said post. The result of the election will, however, not be declared, it will be kept in a sealed cover. Subject to the final outcome of the writ petition, final result will be declared," it had then said. The court noted that the plea was not opposed by Rocky Tuseed's counsel. Tuseed, who has filed the petition through advocate Nikhil Bhalla and Harsh Bawa, challenged the decision to reject his nomination for the post of President. The court had also said that Delhi University was "stigmatising" the student by rejecting his nomination. The petition was opposed by Delhi University saying it was not maintainable and the university has been wrongly made a party.